To tell the story of the Royal Parks in World War I is a challenge - they were used in many diverse ways by a huge variety of people. Our project explores the way that the parks were changed by what was happening elsewhere in the world – and how what happened in the parks changed the war and the lives of the people who lived through it. The parks were places of technological innovation and development and hosted the vast administrative infrastructures needed to support soldiers from Britain and the Empire who were at war across the world. The development of exhibition allotments where novice gardeners could seek expert advice supported a burgeoning movement of vegetable growers while several hundred acres of parkland - and the flowerbeds outside Buckingham Palace - were put to agricultural use to meet the nation’s need for food. Hospitals in Richmond and Regent’s Parks provided medical care and therapy for the wounded. 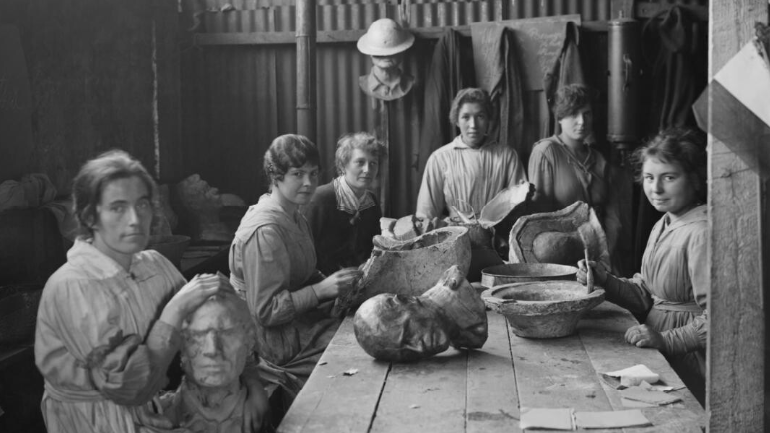 Women making papier mache heads at the Camouflage School in Kensington Gardens. IWM Q17778. Women took on new roles: they trained recruits in military communications and patrolled the parks to prevent ‘immoral or inappropriate’ behaviour taking place in dark corners. Men, including parks employees, signed up to go to war and learned how to dig trenches, fire rifles and follow army discipline. Once they left, crowds gathered for commemorations, celebrations, protests and mourning. And in addition to all this, life carried on as usual. Children played, men competed in baseball and women skated on the frozen lakes in winter. We’ll be building up our histories of the parks and the people who used them over the next two years. As we develop our research and put together lesson plans, posters and articles, you'll find them here. Learn about the Camouflage School in Kensington Gardens where new techniques for concealment and disguise where developed during WWI. 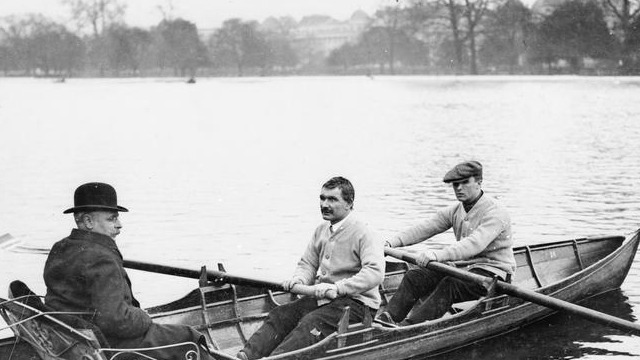 Discover how the Royal Parks were used to help solve food scarcity during the First World War. Take a look at short articles written by volunteers on the Parks in the First World War.